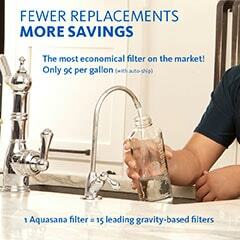 The best performing water filter plus an increased capacity pre-filter. 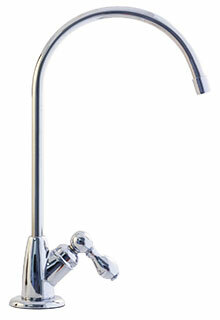 3-Stage Under Counter Water Filter - Chrome is rated 4.6 out of 5 by 1592. 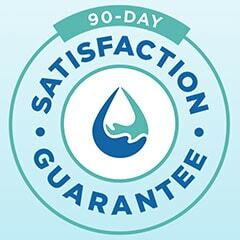 Rated 5 out of 5 by Jade and Henry from Excellent product We love the 3 stage under counter water system. It was easy to install. The water tastes clean and delicious now. We left the filtered water in a pot on the countertop for 3 days to see if it changes the taste - nothing happen, still tasted clean and delicious. We recommended this system already to family and friends. Rated 5 out of 5 by Talke2mee from Love this filter We are drinking more water since we put this filter in last month. Make sure you make all the connections properly and it was a breeze to install. The water looks cloudy as you flush the water through the new filters but be patient. The water is great. Rated 5 out of 5 by water taster from It's perfect My plumber installed the filter, as I was also getting a new faucet. So I can't speak to the installation process, except that he didn't have any difficulty. It's in a nice, out of the way spot under the sink. 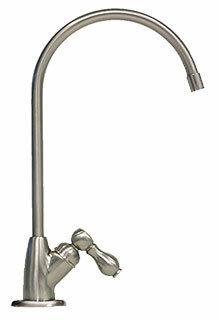 The water flows beautifully, the water spout is beautiful, and most importantly, the water tastes fantastic. 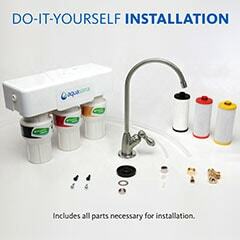 Rated 5 out of 5 by reidTheWaterGuy from Loving the fresh water, quite an easy install. This was on our list for years, wish i'd done it sooner. I did not use the faucet but instead ran the tank to our fridge, giving us fresh and cool water and ice. To do this I needed some extra parts from Depot, which complicated the job but it was worth it. The fact that the system uses sharkbite style connectors is great. Follow the instructions very carefully. Push HARD to get those hoses into the clamp. To get them out, if you make a mistake, watch a Youtube video on removing sharkbite connectors. it's tricky, but do it once and you get the jist. Rated 5 out of 5 by Letty from Great quality! Very impressive! 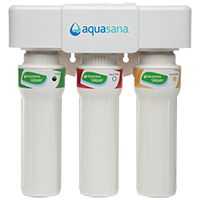 We love our Aquasana filters! We used to own an RO but we never liked the idea of removing all minerals. 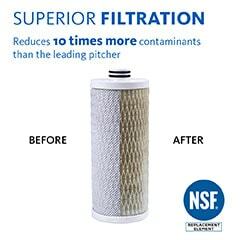 The filters are just enough to remove all contaminants specially the chlorine! Great product! Rated 5 out of 5 by TDoan from Very good system My family love the taste, safe us from using bottle water. Rated 5 out of 5 by Cikki from Love these filters I had the 3 stage under counter filters installed on the back wall instead of on the side wall of the cabinet a week and a half ago . I think it will be easier to change filters and takes up less space. The water taste better than spring water. The faucet looks nice and I don't find the water flow slow considering it's going through 3 filters. I did put containers under the filters just in case of a leak and will buy a small water alarm at Home Depot. But am not really concerned about leaks and believe new o rings can be purchased anywhere for the filters when needed. I love these filters. 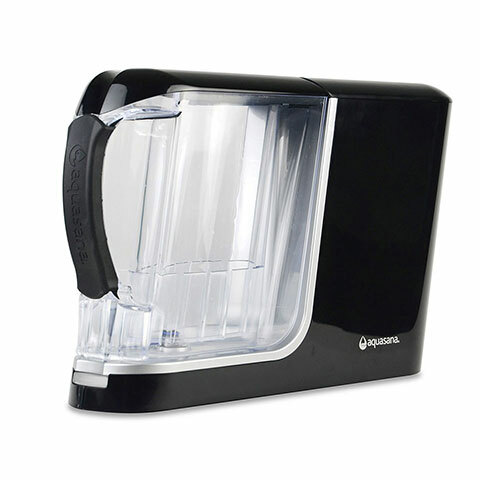 Much more convenient than bottled water and take up much less space than the countertop type I used to use. Just wish floride was removed. 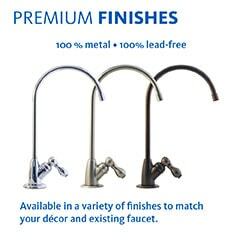 What size hole do I need in a granite countertop for the 3 stage undercounted filter system faucet? Just changed the filters. No water flow. Unit is several years old. Never had this problem before. I see others have same or similar issue (very low or no water flow) after filter change. What is the problem and solution? 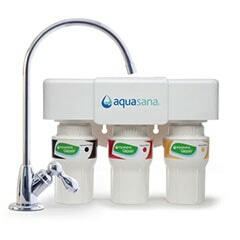 Is it possible to link the output of the 3-stage under counter water filter, to both refrigerator water pipe and sink faucet? Yes, this is possible. I have had mine setup this way for almost two years now with no issues. Can I hook this system to my water supply for my refrigerator? Also how do I do that and do you have a video? Good idea but Not easily implimented. Would require either a separate filter just for the fridge or re-routing the existing fridge water input line to the output of the filter which is typically installed near the kitchen sink. Either option would be easiest to do provided your house has a basement. 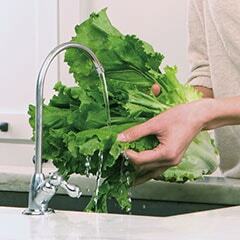 Does this filter out fluorides? 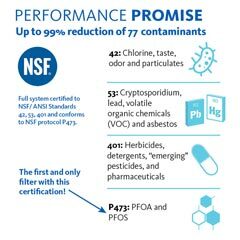 Hello, do these filters help protecting against nitrates in the water? We have well water and have whole house prefilters, salt and resin softner and iron filter, and also UV filter already. But we are around farms there is worry of nitratres. 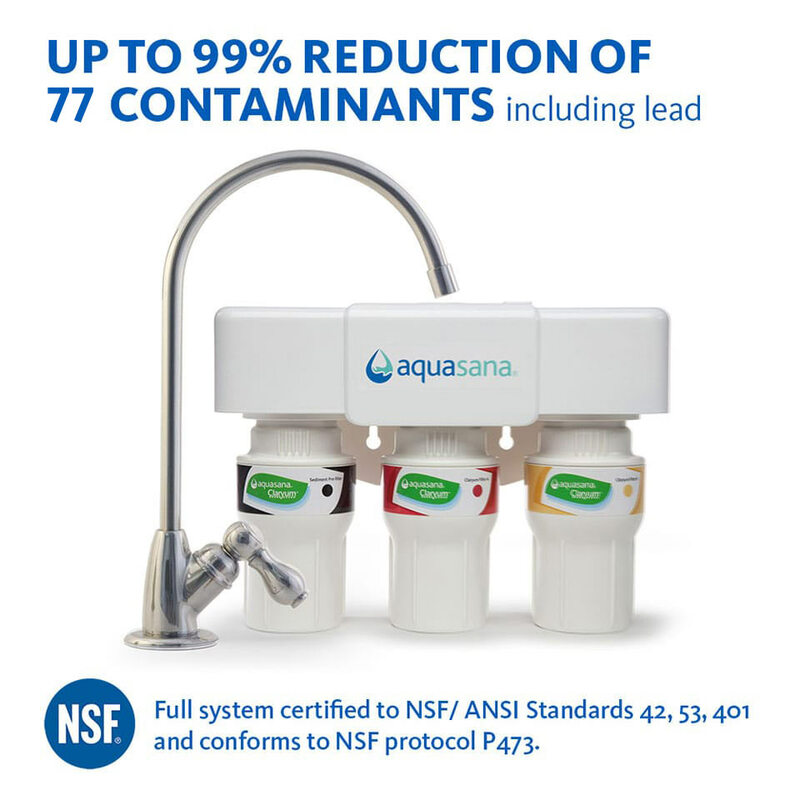 Hello, Can the faucet in system: https://www.aquasana.com/drinking-water-filter-systems/under-counter-faucet-3-stage&nbsp; be used to replace a &quot;Main kitchen Faucet&quot;? No. It only has one input and is much smaller than a main faucet would be. I assume you would still want hot and cold water at your sink and to use if for more than just drinking water. Is it safe for a newborn?